There were funny, smart and thought provoking shows in the late 80s, early 90s that introduced girls to iconic feminist characters, and what it meant to be a teenager/woman in America almost twenty years ago. Pepper Ann Pearson in Pepper Ann, too cool to be twelve. How do I even begin? Pepper Ann was a feminist ahead of her time. She was never afraid to speak her mind, had a badass single mother, and a little sister who wasn’t afraid to defy female gender stereotypes. More importantly, Pepper Ann imagined herself a very tough warrior and was in real life while facing moral dilemmas. Helga G. Pataki in Hey Arnold! Helga was classified as tough, bossy and cynical. However, she’s also a genius when it comes to academics. More importantly she is very ambitious despite her almost obsessive love for Arnold. There’s even a dream sequence where she imagines herself the president of the United States with Arnold at her side as first gentleman. If this isn’t #GirlBoss then what are we to aspire to? If there was ever a badass teacher in the classroom that was certainly Miss Grotke every time she called out white misogyny in History. Class assignments were close to something you find at a college level rather than a 4th grade classroom. She also never failed to recognize women who contributed to our society. Buffy Summers showed us that even pint sized girls can be strong in the face of adversity. More importantly she wasn’t afraid of being vulnerable, and she was the Chosen One. You could also argue that Buffy’s greatest quality was in sharing power with others. She proved many times that nobody will ever be too powerful to subdue others for their selfish whims. It’s almost political if you think about it. In the end she gives the biggest speech of her life surrounded by other girls soon to be Chosen One(s) as well to fight against evil. Thank you Buffy for letting us ladies know what it means to be a real leader. Lucy Lawless as Xena was epic. She exhibited qualities that inspired women (and men) to fight against the forces of evil, and do what is morally right. She taught us to rely less on our sexual appeal, and focus more intellectually. More importantly she empowered other women along to realize their own strength as well accept their imperfections. Finally, a black girl we could all relate to at some level. She wore braids and attended high school in a good neighborhood located in Los Angeles. 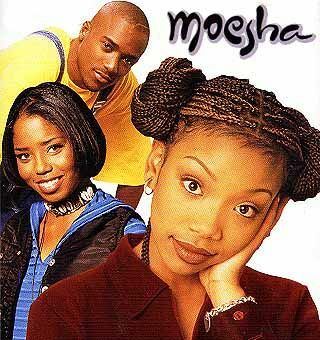 It was also one of the first shows that really showed what teenage minorities go through at home, school and work. It even health with darker elements such as death of a parent and discovering secrets within a close niche family. More importantly, the protagonist, is not afraid to say ‘no’ when she’s being pressured to do something she doesn’t like. Do you miss TV programs with strong female leads?